With bigger rigs and wilder wrecks, Jamie Davis Heavy Rescue is returning to the Coquihalla Highway and HIGHWAY THRU HELL for an all-new, expanded second season, premiering Tuesday, September 3 at 10 p.m. ET/PT on Discovery. 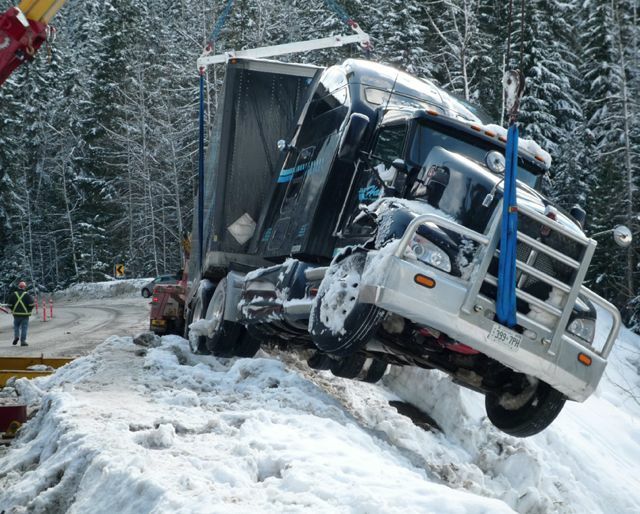 An original Canadian series from Vancouver’s Great Pacific TV, HIGHWAY THRU HELL travels some of the most economically vital – and most inhospitable – trucking routes in North America. 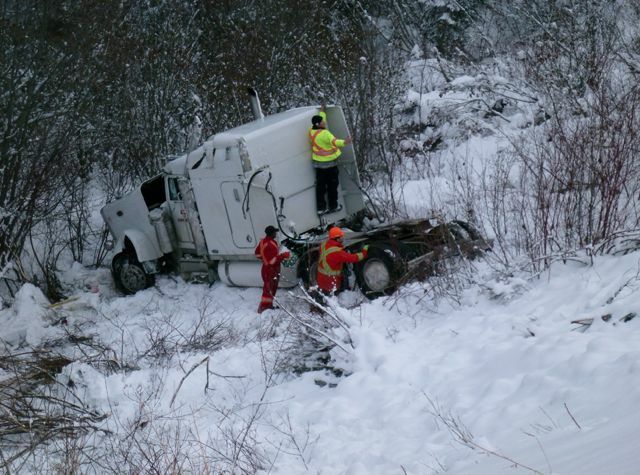 Plagued by winter storms, truckers spin out and smash up, and during the worst conditions, the big wrecks can come as often as every 12 hours. And when this happens, the call goes out for heavy rescue to clear the highway carnage and get the road open again. Viewers can revisit the crashes and conflicts from Season 1 as Discovery presents a nine-hour Labour Day marathon on the Coq, Monday, September 2, beginning at 1 p.m. ET/10 a.m. PT. New for Season 2, dynamic visuals including 3D maps depicting the locations of the wrecks and striking new animations take viewers back in time to the moment of impact, heightening the wreck stories featured this season on HIGHWAY THRU HELL. Also, building on first season’s original nine episodes and “After the Crash” special, Season 2 grows to 13 hours, plus four HIGHWAY THRU HELL: RELOADED episodes (details and schedule below), and extends online to deepen the viewer experience with exclusive content. The addition of skilled driver Scott Bird, returning from retirement, creates tension with the veterans on Davis’ team. After some particularly twisted wrecks and equipment failures early in the season, Davis is left wondering if he’s made some grave mistakes. And Bird isn’t Davis’ only staffing problem: Old Bruce is forced into semi-retirement, and Davis struggles with the idea of letting him go completely. By mid-season, a new competitor shows up on the mountain, and cuts Jamie Davis Heavy Rescue’s jobs in half, leaving him with no choice but to consider drastic changes to his operation. Jamie Davis, eager for the winter season to begin, has one thing on his mind – amp up his manpower and his equipment, so he’s ready for anything that happens on the mountain. He has brought back a big crew – Adam Gazzola, Narayan Samy, Kevin Ritchie, Rob Mitchell, Bruce Hardy, Ken Monkhouse, the new guy Gord Lundin, and Davis’ stepson Brandon Kodallas. Everyone has big, but not always realistic, expectations for the winter ahead. On the first job of the season, Davis’ team struggles to find their groove unloading and recovering an expensive B-Train full of lumber for an important client. Later, Davis begins to doubt the optimistic gamble he’s made this season and questions if he’s brought on too much manpower and possibly the wrong machines. The closures of two major highways cause drivers to voice their frustration leaving Gazzola in a sour mood over all the grief he receives. Ken Monkhouse arrives at a job to find that the competition has gotten the jump on him. Responding to a woodchip wreck, Davis, Gazzola and Ritchie disagree on how to recover the wreck, leaving Davis to do his own swamping. Later, when a heavy SeaCan tips over, Davis and his rotator are pushed to their limit. Monkhouse, realizing he needs help in the car towing division, invites Kodallas for a lesson in a new truck, but Kodallas has words with his stepfather and walks off in a huff. Monkhouse then turns to the new guy – quiet, tattooed Lundin – testing him out on a tough tow lesson. 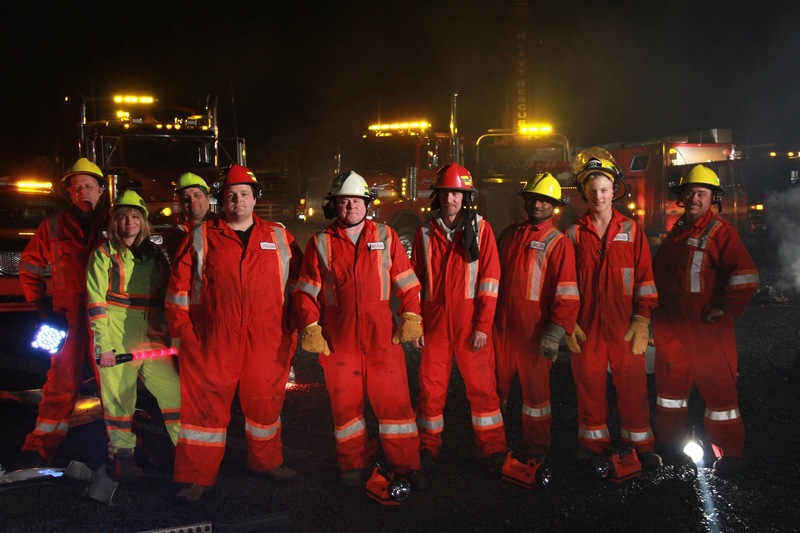 The twists and turns of HIGHWAY THRU HELL extends online, with full episodes (one week after broadcast); “Highway Heroes” vignettes profiling the people who work to keep the highway safe; and in-depth analysis from the cast and crew of some of this season’s most memorable wrecks. Viewers can also explore a clickable interactive map to reveal facts and photos about the highway, and also find additional show and episode information, research material, and production photos. Viewer engagement extends through on mobile via the Discovery App; and fans can join the HIGHWAY THRU HELL community on Twitter (@HWYthruhell) and at discovery.ca/highwaythruhell using the hashtag #hwythruhell. This entry was posted in Highway Thru Hell and tagged Adam Gazzola, BC Ambulance, BC Ministry of Transportation, Bermuda Triangle of trucks, Brandon Kodallas, British Columbia, Cascade mountains, Coquihalla Highway, Discovery Chanel Canada, dramatic TV, EAM, Great Pacific Television, heavy rescue crews, heroes, Highway Thru Hell, history, Jamie Davis, Kevin Ritchie, Lesley Diana, Mark Miller, National Geographic, RCMP, The Promotion People, US Canadian border, Vancouver PR Firm, VSA on August 1, 2013 by press.